ShootSteel: 20% off Sitewide and free shipping on orders over $200 - use code "EASTER19"
Disclaimer: While the information provided here is legal in nature, it is not to be construed as legal advice, and is for educational and entertainment purposes only. It can be tricky trying to navigate the maze of gun laws at the federal and state level, making sure you keep track of the ones that might affect you and keep you from exercising your Second Amendment rights. 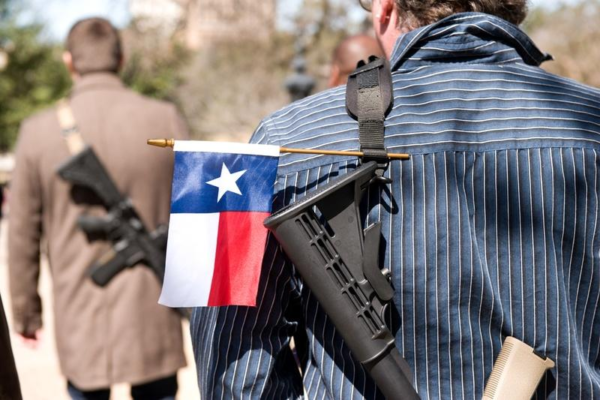 In a gun-friendly state like Texas, there are only a couple of laws you’ll need to be aware of to make sure you stay on the right side of the law. Luckily for you, we’ve got everything you need to know about how to buy a gun and be a responsible gun owner! As you’d expect, buying a handgun in the Lone Star state is a relatively painless process. There are still some basic requirements before you can just stroll into your local gun store and walk out with a shiny new pistol, however. Have a background check performed by a licensed firearms dealer. These requirements only apply when you buy a handgun from your local gun store, since they are federally licensed firearms dealers. If you decide to buy your handgun from a private seller instead of your local gun store, you can actually skip the background check and save yourself some time! Were convicted of a misdemeanor crime of domestic violence. As long as none of those conditions apply to you, you’re good to go! Don’t forget about long guns! Handguns are easy to conceal and can go with any outfit you have, but who can turn down a shiny new AR-15 or a sweet shotgun? No one! That’s why you should remember to pick up a long gun or two while you’re out buying your pistols! Just like with handguns, if you decide to buy your long gun through a private seller, you can skip the background check step. Of course, the same situations that would prohibit you from buying a handgun also prevent you from being able to buy a long gun as well. Good news for antique collectors! If you collect antique or curio guns (or replicas of those types of guns), then you’re in luck! Any antique or curio guns manufactured before 1899 that do not use rimfire or centerfire ammunition are not included in the definition of “firearm” in the state of Texas! That means, as long as the guns meet those conditions, it is treated just like any other item you can buy off the shelf at Walmart. No background checks or age limits are required to buy antique firearms, and you can buy as many as your wallet (or wife) allows! Once you’ve got your firearms, you’ll probably want to carry it around town to show it off. However, you actually need a permit in order to carry a handgun, either openly or concealed. There are actually no laws on the carrying of long guns though, so you can keep that rifle strapped to your back while you’re out shopping if you want. Are inside or going to a vehicle that is owned by you or under your control. Basically, as long as you are on your own property, you can carry however you want. You just cannot carry a handgun outside of your property without a permit. This also means that if you are transporting your firearms, you can keep them loaded or unloaded, in any condition that you want, as long as you own the car or are in control of it (i.e. a lease, a rental, etc.). For those you who do want to be able to carry your handguns around like your long guns, be sure to hop on over to our Texas CCW section after you finish up here. 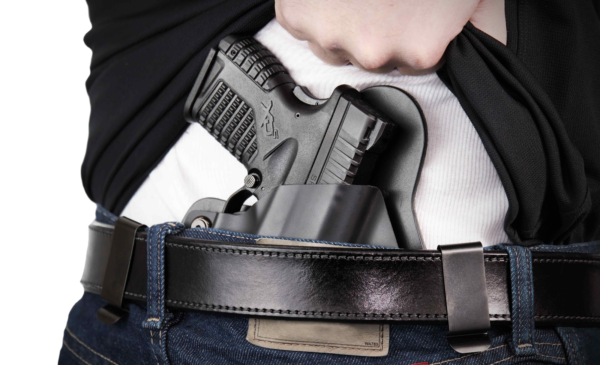 We’ll go over all the steps to getting a permit in the Lone Star state so you can carry your handgun with you everywhere you go, and point out the additional laws you’ll also want to pay attention to. Even though you can carry your long guns without a permit in most places, that doesn’t mean you can carry them everywhere. Any place where governmental entities are meeting (i.e. state representatives, city council, etc.). It’s also just a good idea in general to leave your firearms in the car if you are going somewhere with lots of metal detectors. Signs prohibiting firearms are also pretty good hints! When can you use your gun? Whenever you need to! This is Texas, after all! 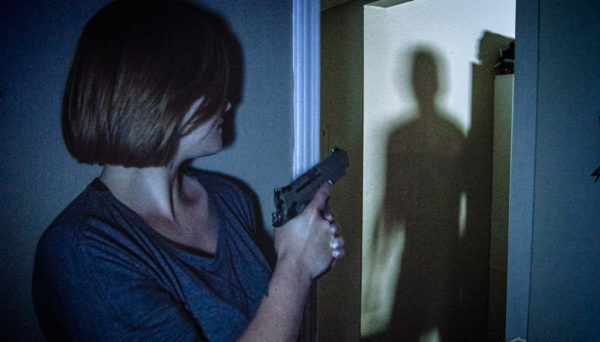 Texas has self-defense laws on the books for both what is known as the “Castle Doctrine” and the “Stand your ground” policy. Each one allows for the use of deadly force in self-defense if the situation calls for it. Prevent someone from committing kidnapping, murder, sexual assault, or robbery. If you had reason to believe a person was illegally and forcefully entering or attempting to enter your house, vehicle, or place of business, or was attempting to illegally kidnap you from your house, vehicle, or place of business, then you are considered to have reasonable belief that deadly force was necessary to end that threat. Someone broke into the wrong house. When you are outside your home, you are also permitted to use deadly force to defend yourself if necessary. As long as you are somewhere you are legally allowed to be, you do not have to retreat before using deadly force to defend yourself against deadly force, kidnapping, murder, sexual assault, or robbery. Of course, just because you do not have a duty to retreat does not mean you must engage and use deadly force. Sometimes the situation may call for retreating for the safety of yourself and others around you. Always use your best judgement when deciding to use deadly force. That’s all you need to know about Texas gun laws! Well, almost! Don’t forget to check out our Texas CCW laws section too! While you’re out buying that brand new AR-15, don’t forget you’ll need to keep it somewhere safe! Texas does not have any specific laws on storing firearms, but for those of you with children, or just want to keep your gun collection locked away when you’re out of the house, a strong safe or inexpensive gun cabinet will do just fine. If you’ve only got a couple handguns, then a handgun safe may be all you need to keep your shiny toys away from the bad guys while you’re out of the house. Editor’s Picks: Our favorite guns and gear we’ve tested out and recommend.